Metal letters handmade in Bali by Balinese craftsmen made of renewable source albizia tree. Available in various sizes, font type and colors. 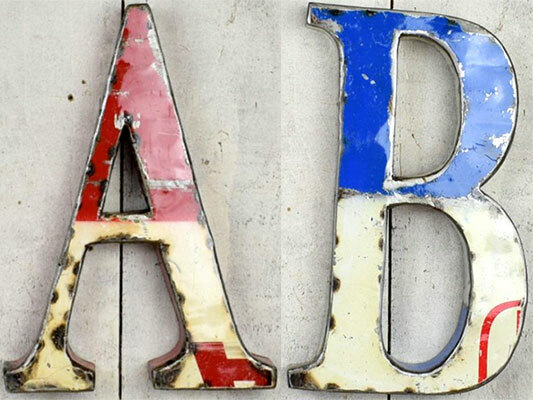 We can make these wooden letters alphabet in gold, silver, whitewash or rustic distress color. Free standing or with base. Wholesale only. Made to order. We can make any kind of letters such as Arabic, Russian, Chinese and other letters. Beside wooden letters, we can make also wooden numbers. Please order in advance. Contact us by Email for trade inquiry. Wooden letters or alphabet made of reclaimed wood from old wooden boat. Made in Indonesia. Wooden letters in silver color, also possible in gold or whitewash. Made of albizia wood. We can make in using other kind of wood such as suar wood, a solid wood known for the beauty of its grain or we can make it using teak root wood. We can also make wooden letters from reclaimed wood from old boat wood. Wooden letter made of albizia wood. Handmade in Bali Indonesia. Made with whitewash or distress rustic finish. Available in various colors, sizes and font type. Free standing or with wooden base. See also Balinese carved wood name plates made to order with Balinese style carvings. All kind of name plates such as open close, toilet, welcome, room number, house number and many more. 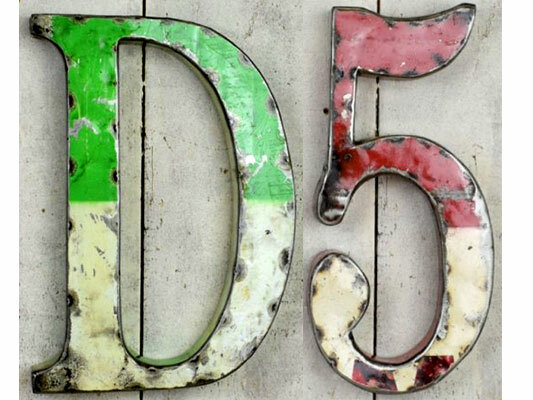 We have also wooden letters and numbers made of handcut and painted glass mosaic. All handmade in Bali Indonesia. These are handpainted glass on mdf. The glasses are handcut and handpainted and then put on MDF. Any kind of words is possible, any colors and sizes. Numbers also possible to make. Wide range of font type such as Helvetica, Old English, Caslon etc. Almost any font is possible. Handmade Crafts from Bali Indonesia. Teak Wood Homeware Bali Indonesia. Recycled Oil Barrel Furniture Indonesia. Purse, wallets, handbags made of satin and beads. Coconut Wood Crafts from Bali Indonesia. Bamboo root ducks factory in Bali Indonesia. Bamboo ducks with shoes and hat.